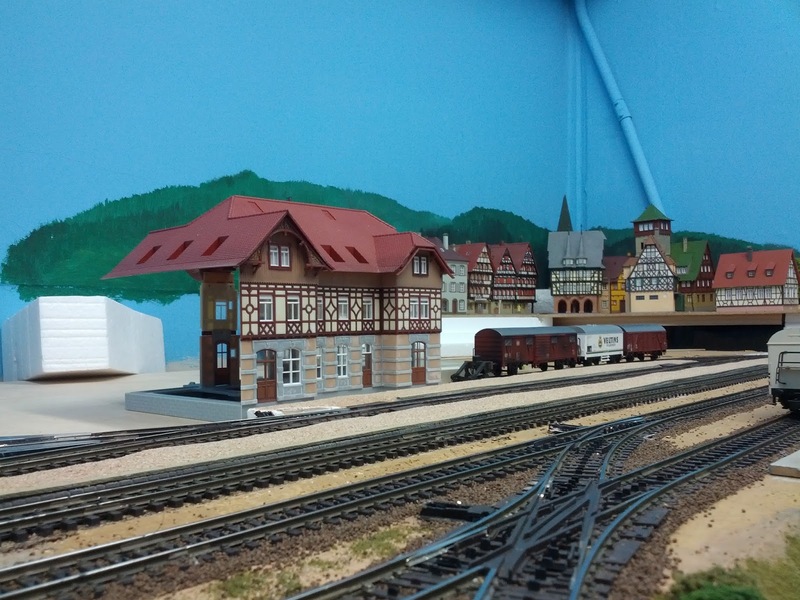 Mockup placement of the main station building in Emsingen, now that I have most of the major wall sections built. Oh yeah! This is working nicely. The station building has a more commanding presence than the stand-in I used so far. It visually pushes back the city a bit and helps to create the forced perspective effect I was hoping for. The city uses 1:87, and 1:100 buildings. 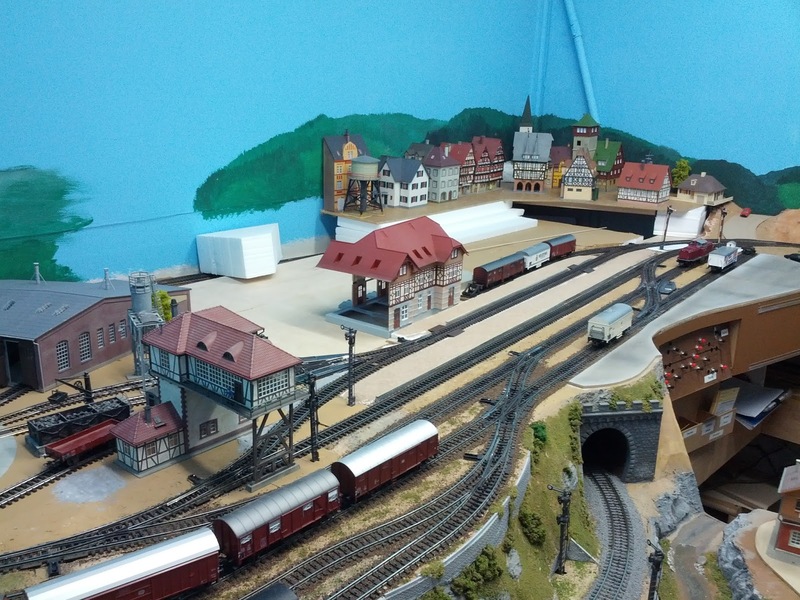 I'll continue adding 1:87 along the left side of the city. Overall, the scene becomes much more balanced now. I'm excited! I especially like the space elevator in the background. Why is the base angled? Wouldn't it make more sense to just go straight up?